Haredi children in Jerusalem pray for Florida residents as Hurricane Irma approaches. Children in a haredi elementary school in Jerusalem's Old City held a special prayer session for Florida Jews in Hurricane Irma's path. A few days ago, Florida resident who recently immigrated to Israel expressed concern for his family and friends living in Irma's path. He turned to haredi businessman Efraim Holtzberg, who lives in Jerusalem's Old City and requested aid in organizing prayer sessions in the merit of Florida's Jews. 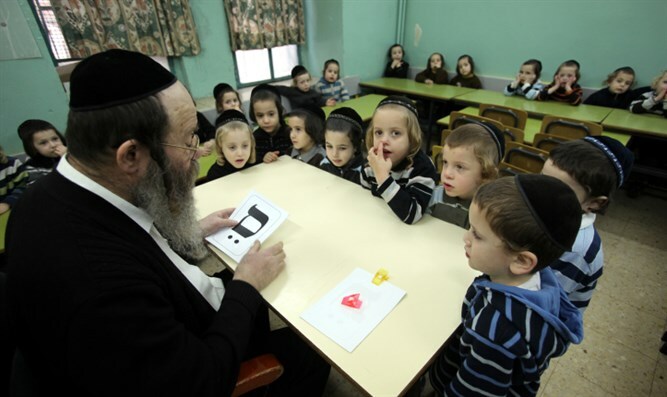 Holtzberg requested the Aderet Eliyahu Talmud Torah, commonly known as the "Zilberman Talmud Torah", hold prayer sessions for residents of Florida threatened by Hurricane Irma, and provided the participating children with sweets. In the prayers, the children begged God to protect the Jewish community in Florida as the Hurricane ravages the state. On Monday evening, Florida Governor Rick Scott (R) declared a state of emergency in every county in the state, and on Wednesday evening, North Carolina Governor Roy Cooper did the same. Florida residents are currently fleeing the area en masse, bringing highways to a halt and raising concern about a potential disaster. Irma hit the Caribbean islands as a Category 5 hurricane, and is expected to weaken to a Category 4 as it hits Florida. Irma has claimed at least eight lives.